Cabo is the ideal vacation spot for me! The weather is amazing almost year round (skip that brutal Hurrican season August-October) and it is just a quick flight away from most West Coast cities! We completed our home in Cabo right around the 2014 hurricane, which devastated much of Cabo. I am so happy to see such a building boom since then! Classic renovations to older mainstays, and tons of new places to dine, stay and soak up the rays! Long considered a surfer’s paradise, Cabo weather like I noted above, makes it a great year round destination… but it is especially nice in winter months because the whales migrate through the Sea of Cortez and are often visible just off the shoreline! We have also had the best experiences with the turtle hatching that happens late fall/early winter. Of course, the first thing to note about Cabo is the unbelievable food options! The quality of service, and availability of fun activities is next level. Everything from spa services galore, to bungee jumping, camel rides, tequila tastings to rival anything you’ve ever seen, every and any water activity and the most beautiful coast lines! we have loved sunset sails, or catamaran charters down to The Arches. Those more adventurous can also try world class snorkeling and surf lessons! Cabo absolutely must be on your travel-to-next-list! 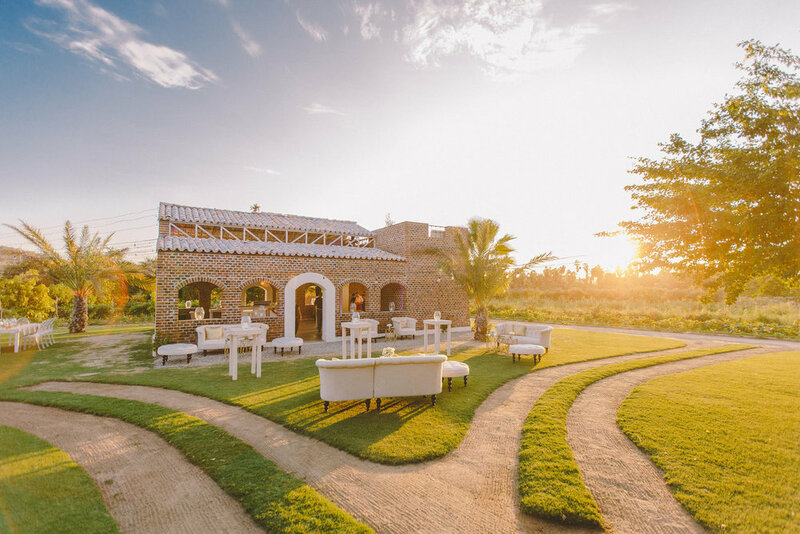 Flora Farms is a 25 acre working farm in San Jose del Cabo that is home to some of the most delicious, fresh, and beautiful food! This place has been a gorgeous retreat and phenomenal dinning experience since 1996! I think everything is beyond delish and love that you can also take cooking classes, buy grocceries and fresh produce and also now stay at the farm and visit their new spa! Although Flora Farms (above) is the longest and most well known… new kid on the block Acre (pronounced AH-CRAY) is the hippest spot to be! Another 25 acre farm, adjacent to Flora Farms, Acre has an award winning bar, decadent food made from all organic produce and the coolest scene! They too have new accommodations… both Villas and tree houses! And despite our own luxe set up down in Cabo… I am dying to try out a stay! If you dine there; my tip is don’t pass up the Fried Green Tomatoes! The One & Only Palmilla is the closest hotel to our home… and naturally I am the most familiar with it. 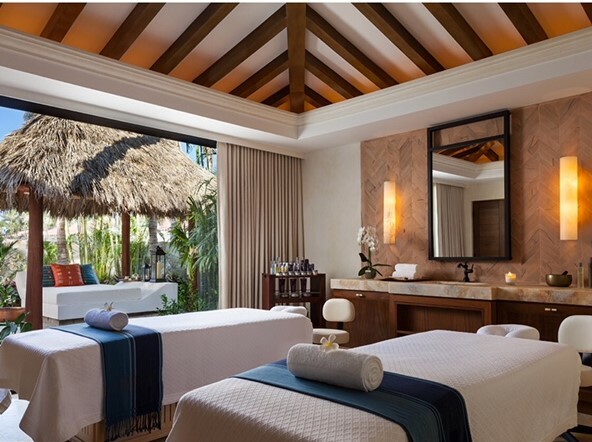 It is also a true vision of luxury, service, food, and spa. I have never had a bad minute over there! Recently, after closing our home for hurricane season my husband and I heard the weather was still great in Cabo and we contemplated staying at the One & Only rather than re-open our home because we are both dying to be guests! Our frequent visits for dinner and spa services are never enough. The property has three distinct and wonderful restaurants. Agua is a mostly outdoor restaurant with stunning views and tasty authentic menu of seasonal Mexican farm-to-table cuisine. Seared has only the finest cuts of meats, including WagyuA5 beef. This is no ordinary steakhouse... although my favorite is their mango/avocado topped take on the Devils’ on Horsebackappetizer! Suviche is our family go to! The space offers gorgeous floor to ceiling views of the Sea of Cortez and a vast selection of sushi and Jean-George meats. My husband always orders the Chef’s Choice Sashimi and my daughter and I always make our own Filets and Tenderloins on the Hot Stone. If the seasonal White Cherry Pavlova is on the dessert menu and you pass it up we can’t be friends! I will honestly admit I don’t do much in Cabo other than read in the sun, spa and eat! So, the only other recommendation other than restaurants are my favorite spa facility in the world! I have never had anything but the most relaxing and soothing treatments at the One & Only Spa. To die for massages, fabupous facials, and the best manicure and pedicure ever at the Bastien Salon. The pools and facilities; including the private villas where all the services are done, are gorgeous! My husband prefers to ONLY get his haircut at the Barber Shop on the spa grounds. He says he has never had a better hot shave and haircut ever! Are you planning to visit Cabo? Send me questions - - I loooove to talk about my favorite home! Have you already been? Share the love with me!! Tell me what spots you are you tried and true hits! I want to experience them too!